Stanley L. Librach, MD, DDS is a renowned plastic surgeon serving patients throughout Chesterfield, Missouri. Dr. Librach offers cosmetic laser surgery, smart lipo, laser eye surgery, and general medical spa services, which include botox, fillers and laser treatments. Specializing in reconstructive and plastic surgery, Dr. Librach currently oversees six spas and a full practice. He performs cosmetic, reconstructive and hand surgery, including liposuction, injection, body contouring, wound care, management of facial fractures, and trunk, body and facial reconstruction. Dr. Librach is a member of the American Medical Association, and he feels that he has been able to thrive professionally due to sheer hard work, perseverance and determination. 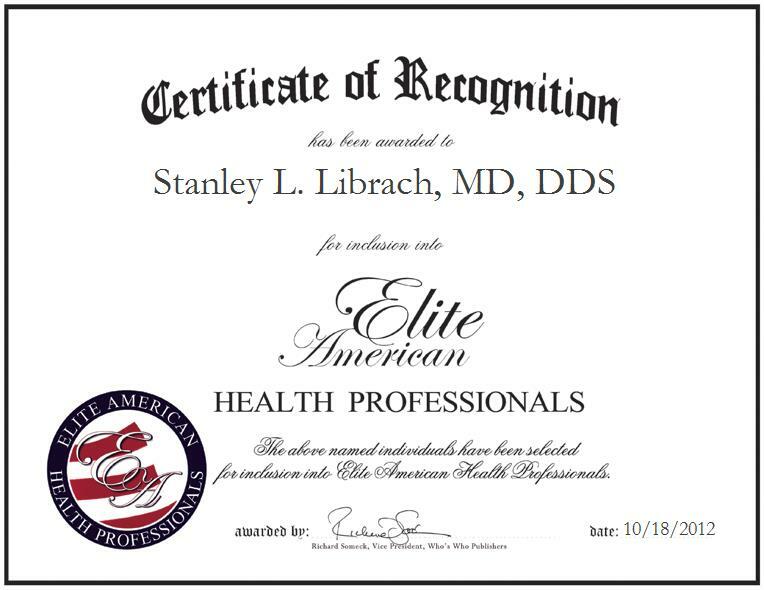 Stanley L. Librach, MD, DDS was originally selected for inclusion in EliteAMERICAN Health Professionals in October, 2012. We are proud to be featuring Dr. Librach again in EliteAMERICAN Health Professionals for 2014.